We’ve all been stuck at least once in our life in a totally unfamiliar language environment. At these times, even our smartest-smart phones are rendered useless, unable to type the word we needed to translate because we did not have the local language characters on our keyboard, leaving us feeling lost. Since we love to share useful apps, we found CamDictionary by IntSig Information Co.,Ltd, a snap translator on the go, and an indispensable travel tool. Believe it or not, your phone’s camera can translate. In few words, CamDictionary is a professional instant translator application for Android and iOS devises. 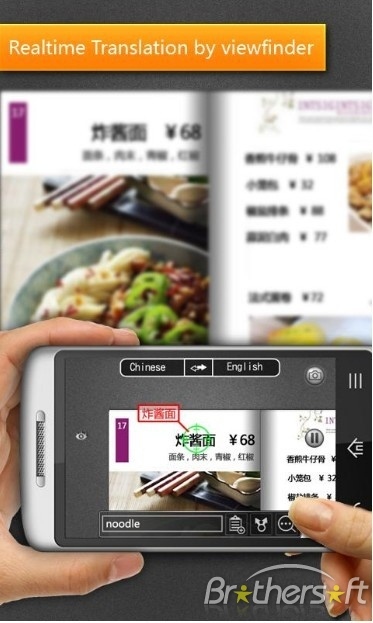 It supports 36 languages that the app can translate on the fly instantly. All you need to do is snap a picture of the text you want to translate and the app will do the rest in real time and you even have the option to hear the pronunciation. Isn’t that magical? What Sparks Our Fire: an ingenious app that makes our life easy by enabling us to quickly and easily translate languages. Are you ready to never get lost in translation with CamDictionary? Let us know your thoughts on this app.